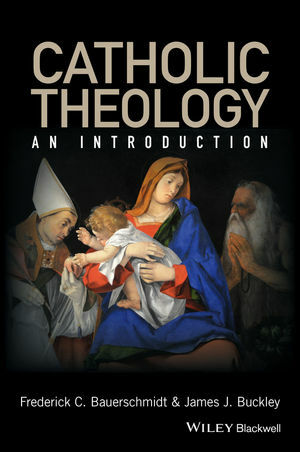 Introduction to Catholic Theology is an accessible but in-depth examination of the ways in which Catholic theology is rooted in and informs Catholic practice. Frederick Christian Bauerschmidt is Professor of Theology at Loyola University Maryland and a deacon of the Archdiocese of Baltimore. He is a former editor of Modern Theology and the author of several books, including Why the Mystics Matter Now (2003) and Thomas Aquinas: Faith, Reason, and Following Christ (2013). He is co-editor of The Blackwell Companion to Catholicism (Wiley Blackwell, 2011) and has published numerous articles on medieval and modern theology. James J. Buckley is Professor of Theology at Loyola University Maryland. He has been on the editorial boards of Modern Theology and Pro Ecclesia: A Journal for Catholic and Evangelical Theology, and is a member of the North American Lutheran Catholic Dialogue. He is author of Seeking the Humanity of God: Practices, Doctrines, and Catholic Theology (1992), co-editor of The Blackwell Companion to Catholicism (Wiley Blackwell, 2011), and has published in a variety of journals.